The Canny Belters took the win in a nailbiting game against Seaside Sirens from Southend-on-Sea 153-151 in Block to School Part 1. 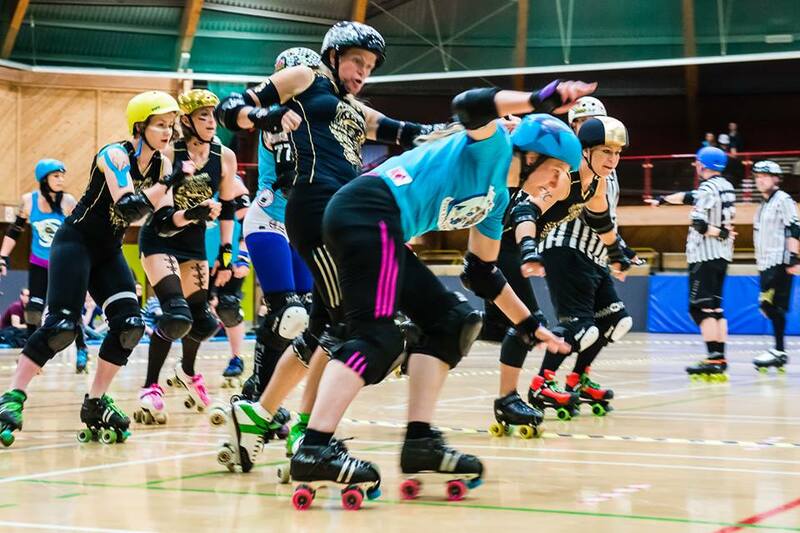 Most notably the Belters went into the final jam behind, the score standing at 228-251 to the Sirens, but a HUGE powerjam from Gin and Sonic saw her bring home 25 points and the win. Head over to Facebook here to see that final jam in it’s entirety! The Belters went into the game as underdogs at 33 in the rankings but with the Sirens only two places ahead at 31 it was always going to be a close one, and as we know in roller derby, anything can happen on the day! The Belters 153-151 win means they remain at 33 in the Derby Data Europe rankings and the Sirens move down one place to 32.